Inspired by the work of Black science fiction and speculative fiction writers Octavia Butler, Jewelle Gomez, Nalo Hopkinson, N.K. Jemisin, and others; as well as by the theory of Afro-futurism as defined by Alondra Nelson, BLF Press will produce a collection that encompasses the broad spectrum of Black speculative writing, including science fiction, fantasy, and Afrofuturism. We are excited to receive submissions for Black From the Future, our forthcoming anthology of speculative fiction and poetry by Black women writers. We are especially interested in writing from Black lesbian and queer women writers. We welcome submissions from emerging and experienced writers. SUBMISSIONS: We will only accept previously unpublished work (print or digital). Your short stories should range from 2,000 to 5,000 words. Two entries per person are welcome, although only one may be selected for publication. Poets may submit up to three poems. Submit Microsoft Word or rich text files (.rtf) with one-inch margins and 12-point Times New Roman font. Each submission should be a single document. Name the document as your first and last name and title of your story (e.g., “Janesha Doe Title” or “Janesha_Doe_Title”). Your bio is required (200 word maximum). 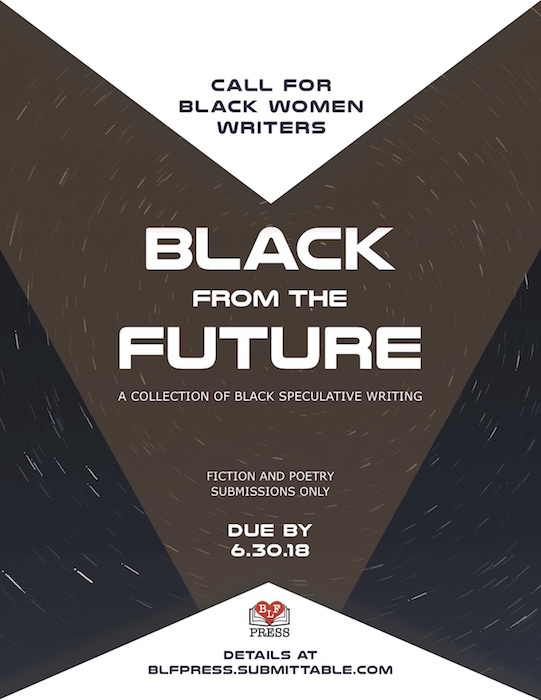 Your work must be submitted at https://blfpress.submittable.com/submit/99565/black-from-the-future-a-collection-of-black-speculative-writing. COMPENSATION & RIGHTS: Authors will receive one payment of $50.00 USD upon publication and one printed copy of the anthology. Authors may purchase print copies of the anthology at cost. The publisher (BLF Press) requests First English language print and electronic/digital rights for one year from publication. After one year, contributors retain all rights to the publication of their work. Contributors are asked to sign a one-page publishing agreement. DEADLINES & ACCEPTANCE: Submissions are due by June 30, 2018. The editors will acknowledge the receipt of all submissions. Contributors whose work is selected for publication will be notified on 8/15/18. The anthology will be published and available on 2/12/19. Contributors will receive updates about the progress of the publication. Payments will be disbursed by 2/28/19. Stephanie Andrea Allen, Ph.D., is a native southerner and out Black lesbian writer, scholar, and educator. In 2014, she founded BLF Press, and co-edited Lez Talk: A Collection of Black Lesbian Short Fiction (BLF Press 2016), and Solace: Writing, Refuge, and LGBTQ Women of Color (BLF Press 2017). Her debut collection of short fiction and essays, A Failure to Communicate, was released in 2017. 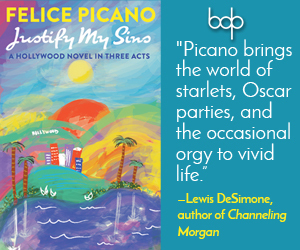 Her other writing credits include a book chapter on race and representation in the work of Tyler Perry and scholarly articles on the topics of race, identity, and sexuality. She is currently working on her first novel. Krystal A. Smith is a Black lesbian writer of poetry and speculative fiction. 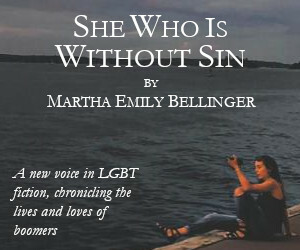 Her poems have appeared in Tulips Touching (2011) and recent short stories have appeared in Ladylit Publishing’s Summer Love: Stories of Lesbian Holiday Romance (2015) and Lez Talk: A Collection of Black Lesbian Fiction (2016). Her debut collection of speculative short fiction, Two Moons (BLF Press) will be released in March 2018. Lauren Cherelle uses her time and talents to traverse imaginary and professional worlds. She manages and writes for Resolute Publishing, an independent publisher that helps transform dreams into realities for women. Lauren co-edited Solace: Writing, Refuge, and LGBTQ Women of Color (2017). She is the author of the f/f novel, The Dawn of Nia (2016), and she has written short stories for Lez Talk: A Collection of Black Lesbian Short Fiction (2016) and G.R.I.T.S: Girls Raised in the South — An Anthology of Queer Womyn’s Voices & Their Allies (2013). Her stories reflect the lives of Southern Black girls and women.